On December 19, 2017, we installed a weather station on top of Gordon Palmer Hall at the University of Alabama ( 33°12'39.44"N, 87°32'32.08"W). As part of Sontosh Deb's PhD project we installed a tripod ~2 meters above the building. The tripod is ~5 meters from the nearest part of the building which exceeds it height (to the east). The other directions have fully unobstructed flow for 100's of meters. barometric pressure (PTB110, Vaisala, Helsinki, Finland). UA data for 12/20/2017 (10:00 AM) thru 8/9/2018 (12:15 PM) taken at 15 minute intervals has been checked for quality. However, we experienced a data outage from May 25-June 22, 2018, and November 23-December 11, 2018 due to battery failures. NOTE: Data collected while battery voltage <10 is not reliable. 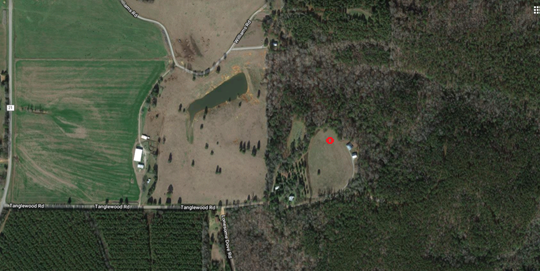 On May 8, 2018, we installed an identically instrumented weather station at the University of Alabama's Tanglewood Biological Station, near Moundville (32.854635, -87.670948), which is in a matrix of second growth forests and agricultural fields. Tanglewood data for 05/08/2018 (4:15 PM AM) thru 10/05/2018 (8:30 AM) taken at 15 minute intervals has been checked. Due to a battery failure, data is missing from October 5,2018- December 27, 2018. NOTE: Data collected while battery voltage <10 is not reliable.